True to his “Country Strong” roots, Madison Bumgarner, the hitter, seems to favor a tree trunk that Mike Morse ripped from the Earth. 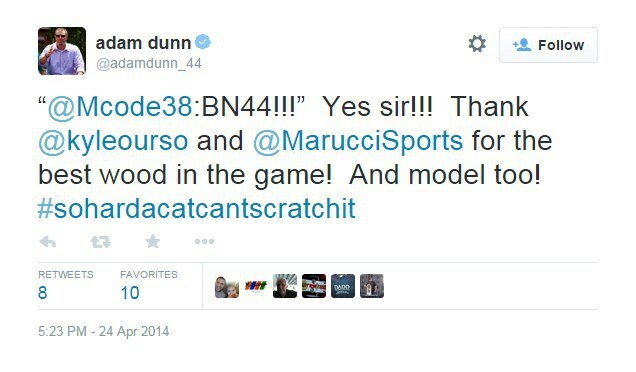 A Marucci BN44, Adam Dunn’s model with a “big knob” according to our source there, that measures 34.5/33. Bumgarner swings the Dunn model and takes the Dunn approach at the dish. He swings to hit the ball into the next town.